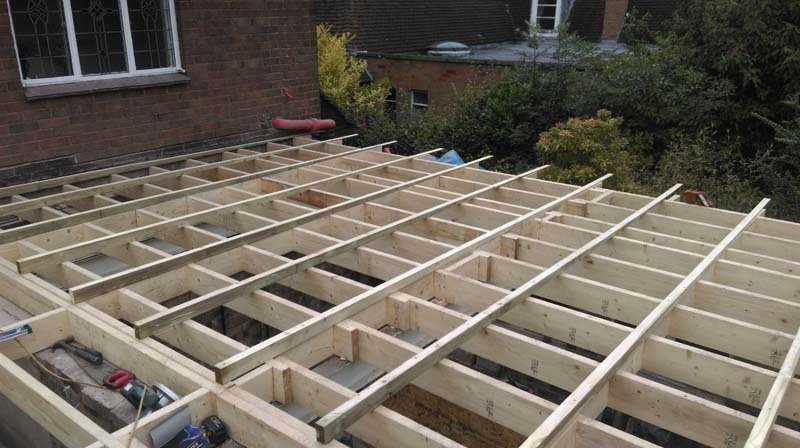 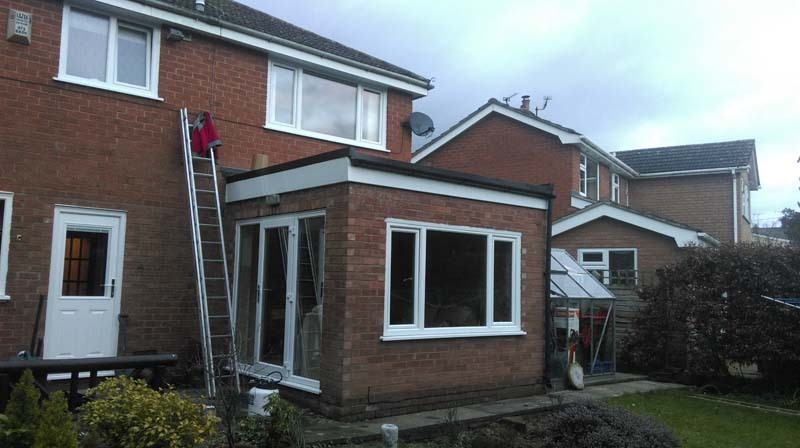 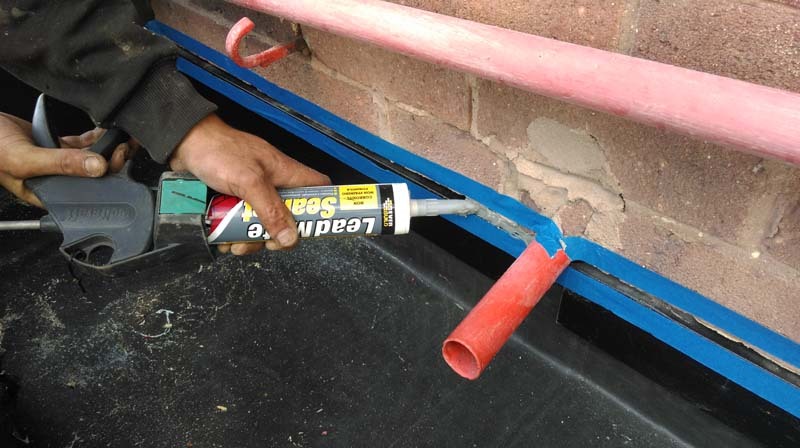 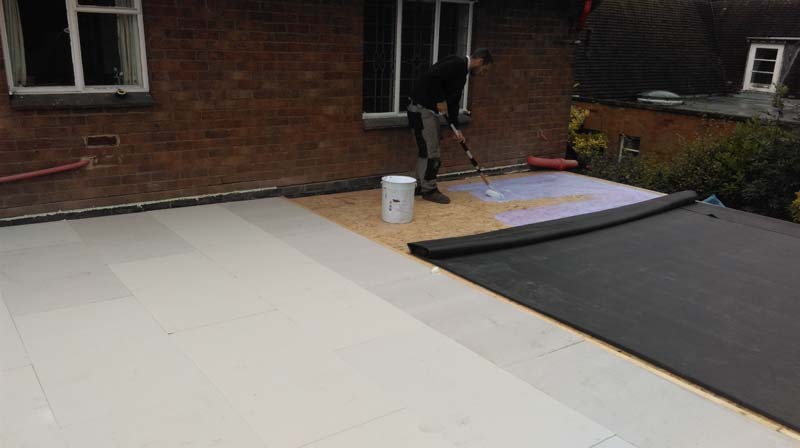 Trust ARRC to work on your home, extension or garage, fully up to date with building regulations, we provide a personal, professional service second to none. 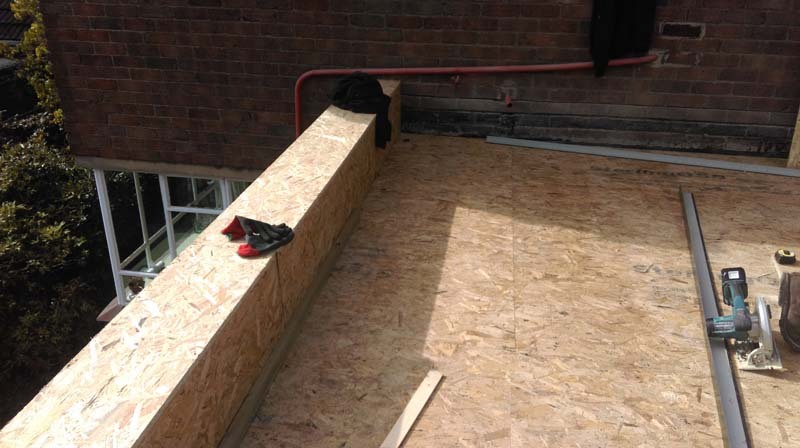 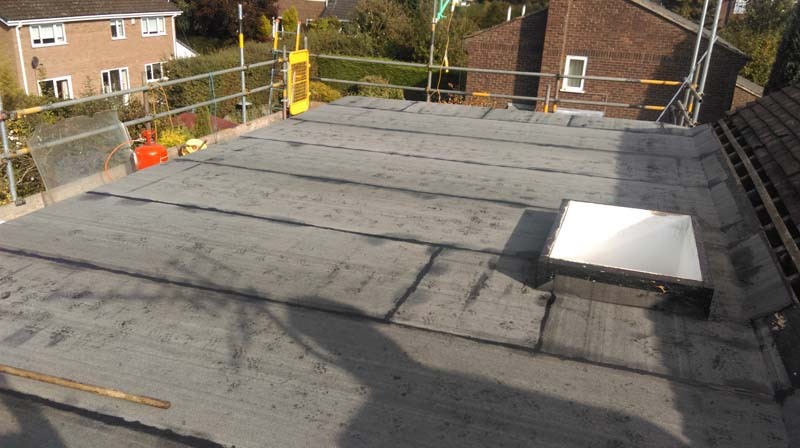 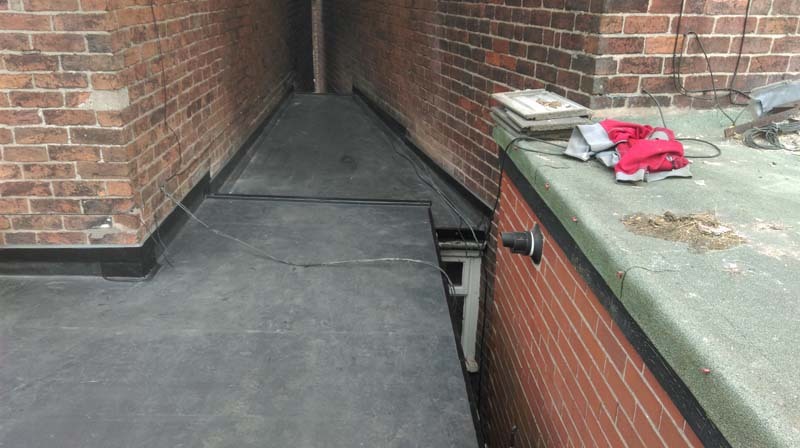 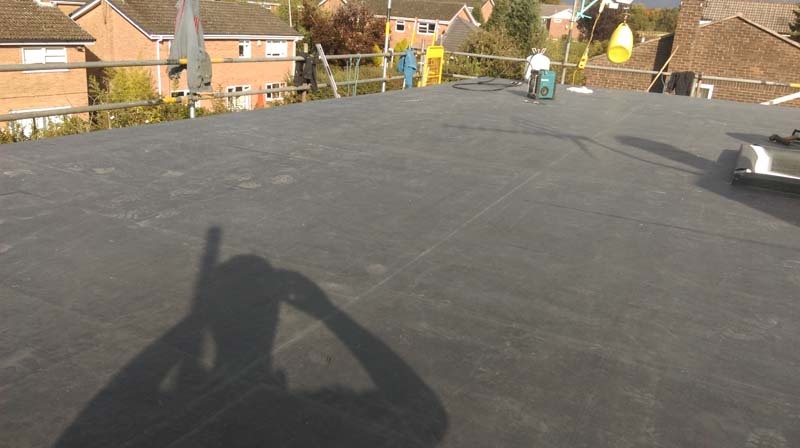 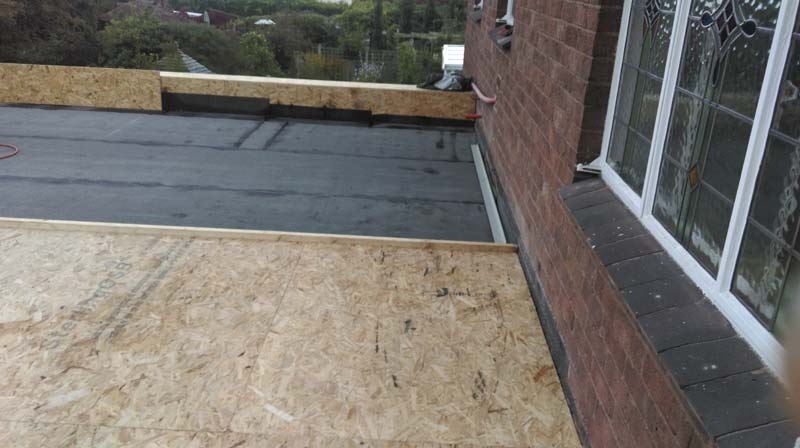 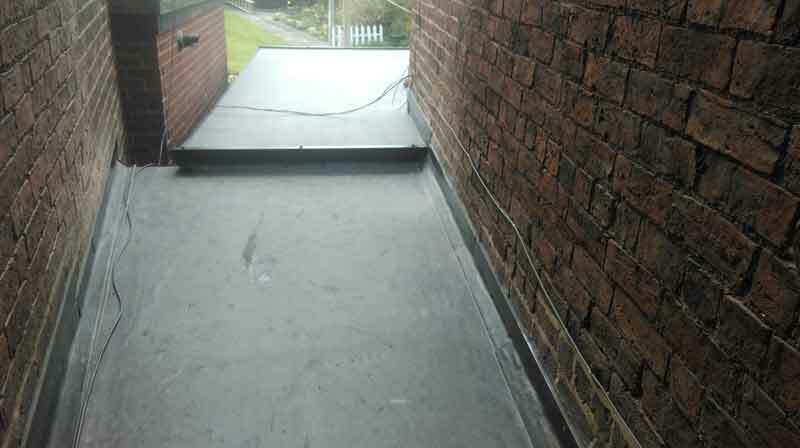 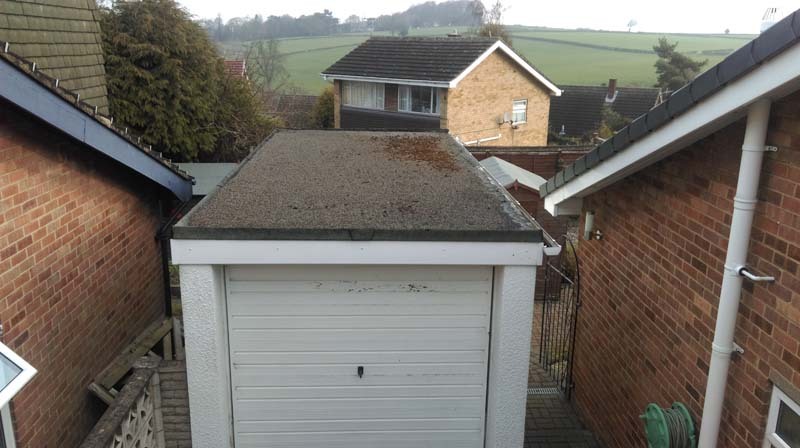 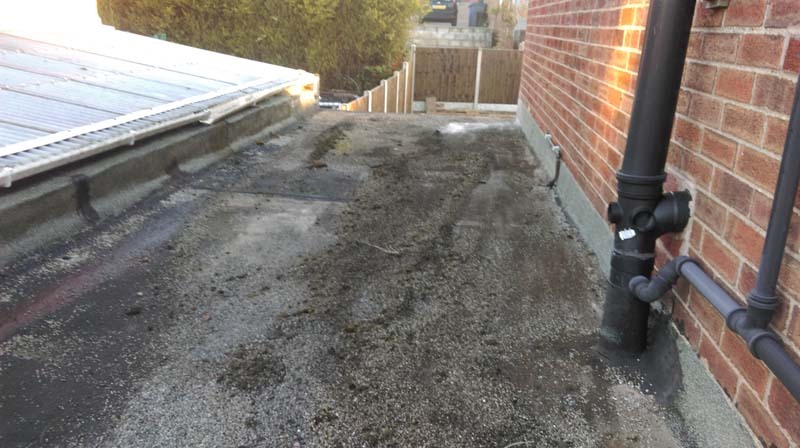 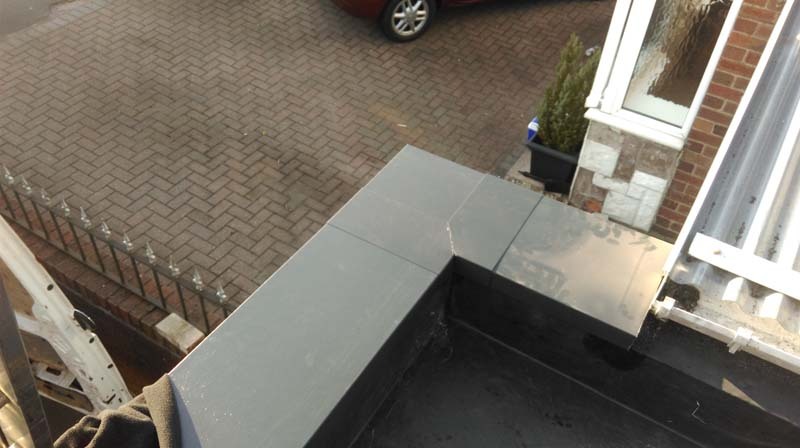 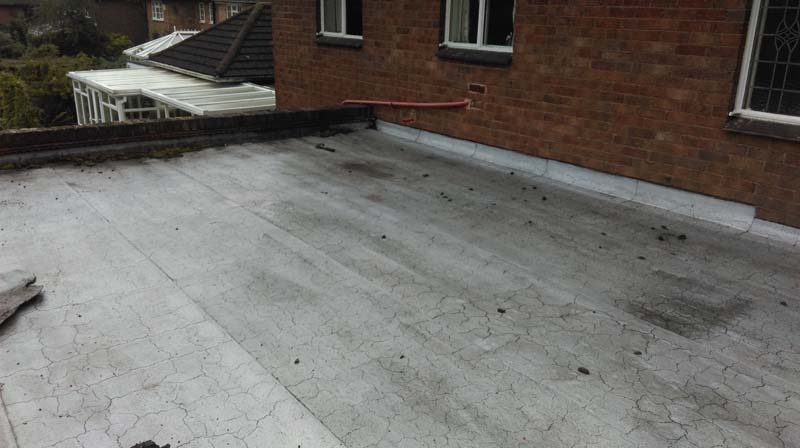 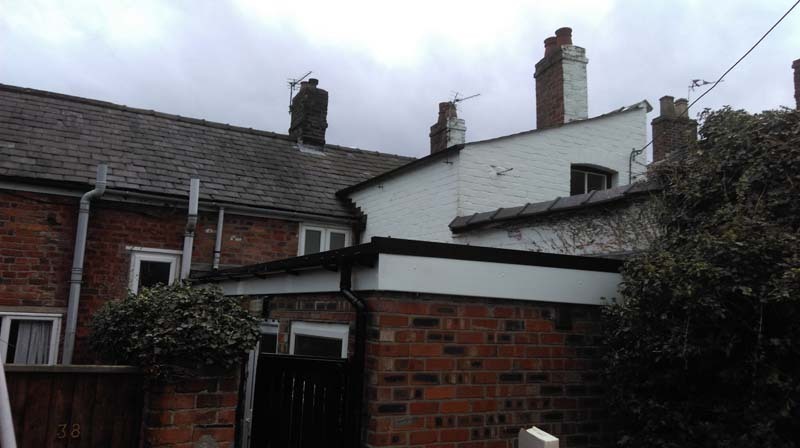 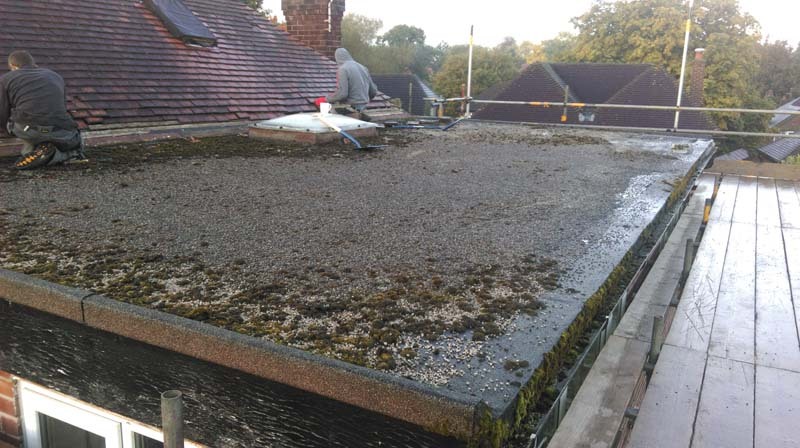 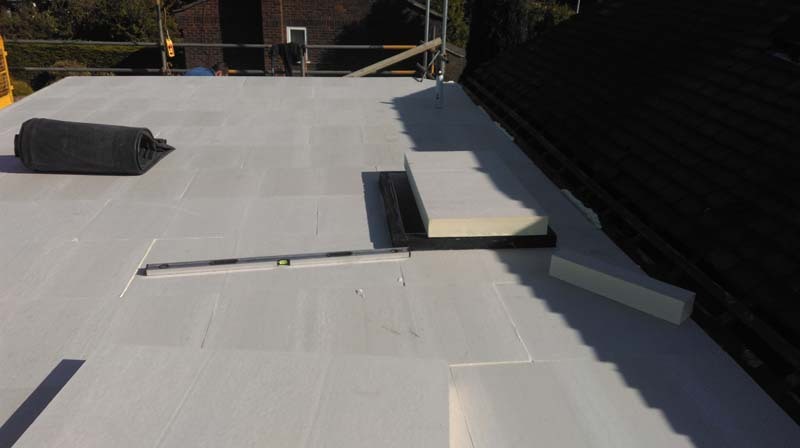 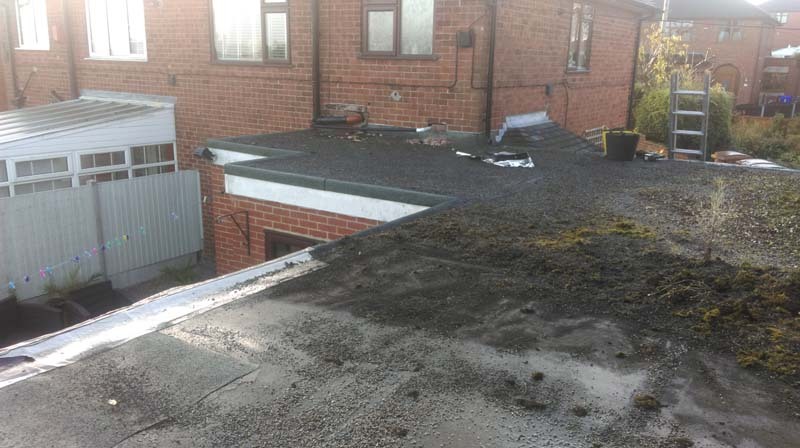 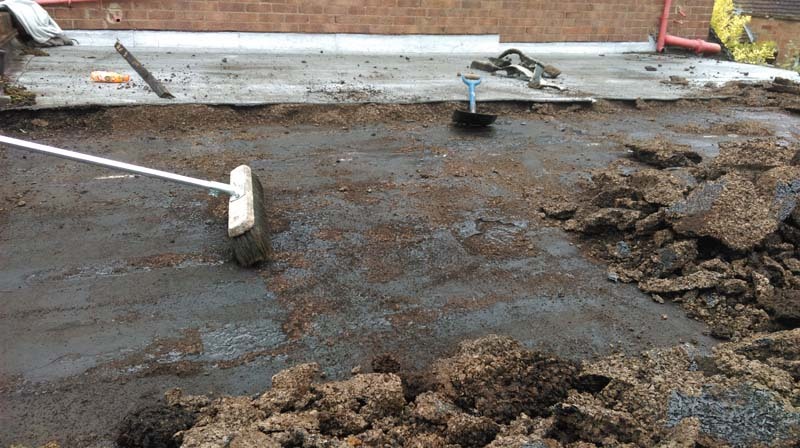 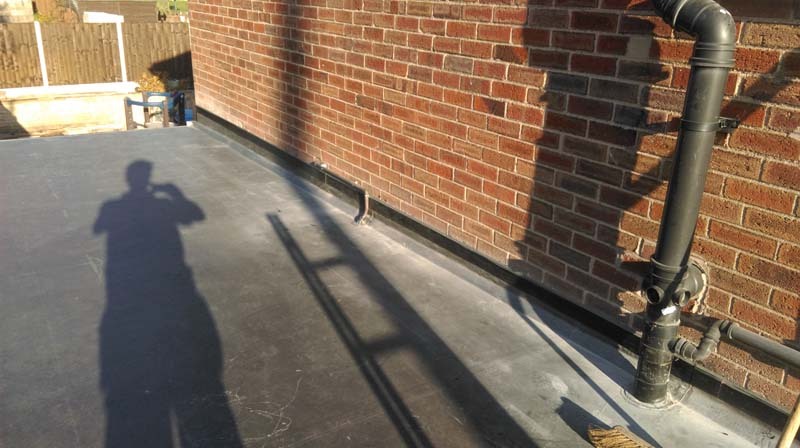 Flat Rubber Roof following refurbishment and before photo. 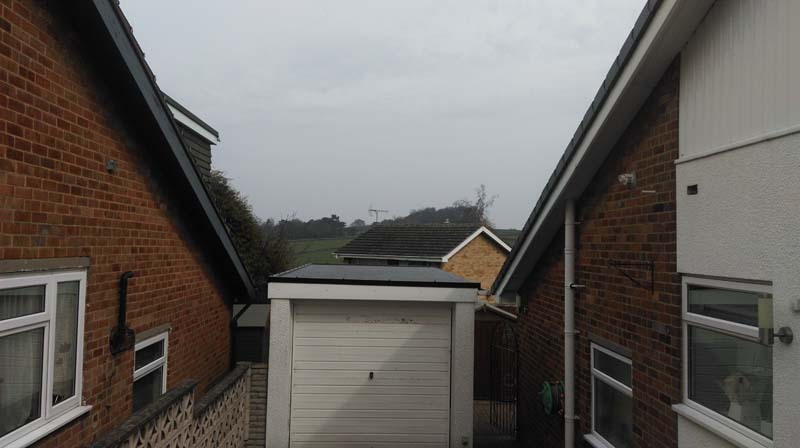 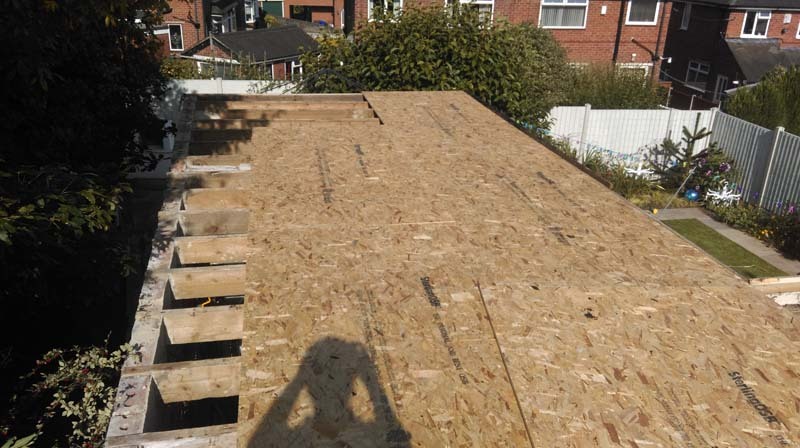 Here you can see the new roof installed on a domestic garage, a photo taken during the work and one taken before we got started. 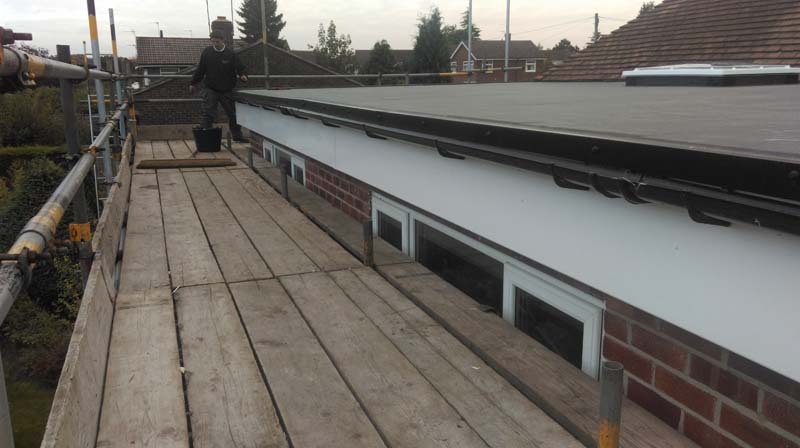 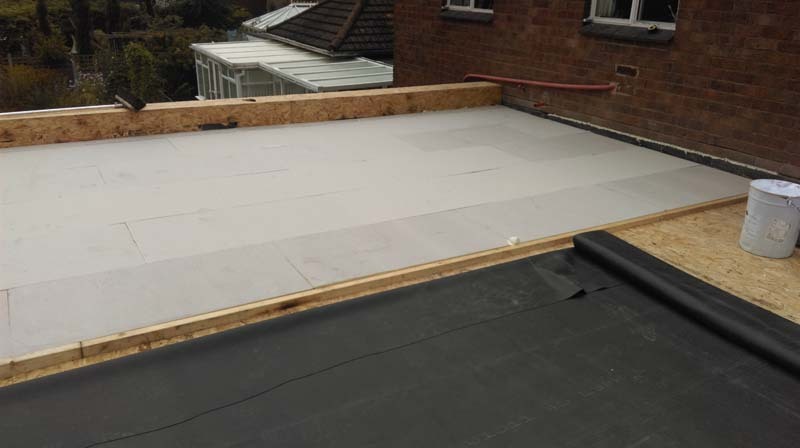 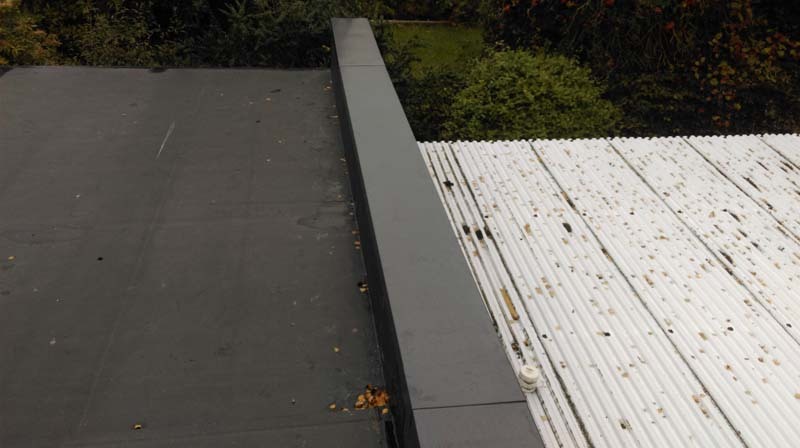 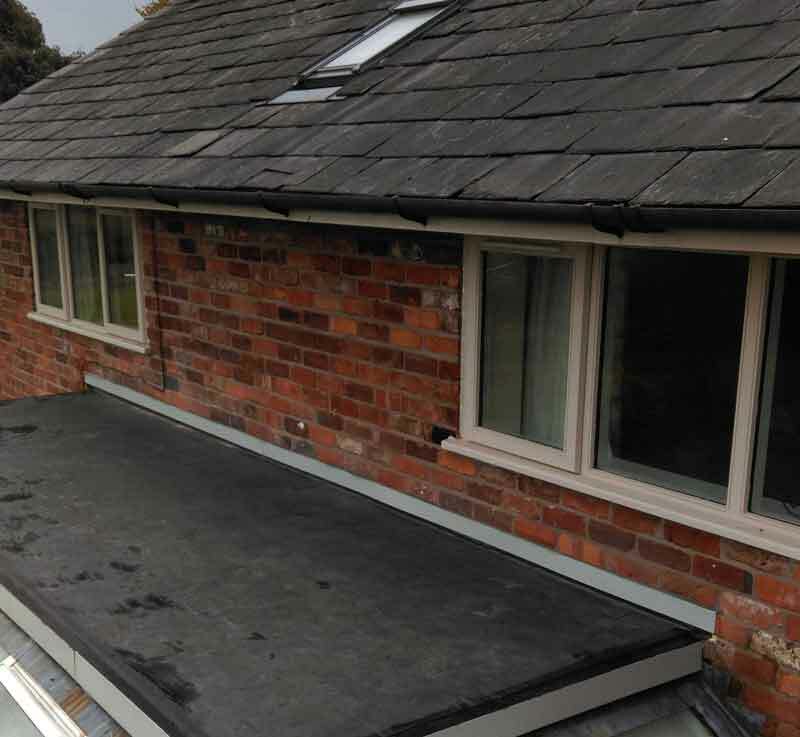 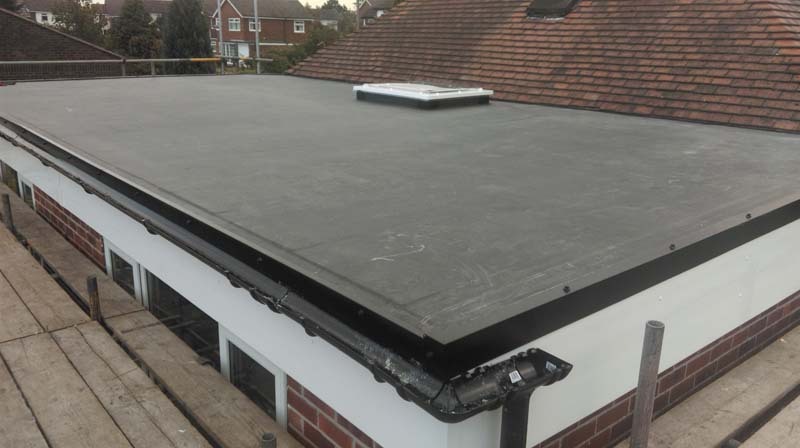 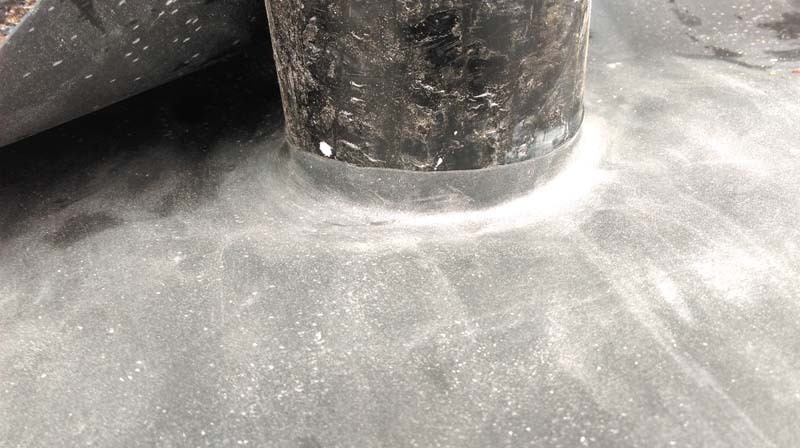 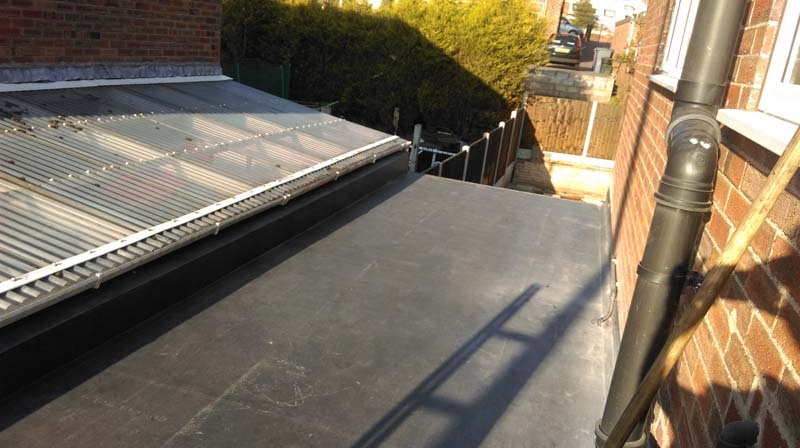 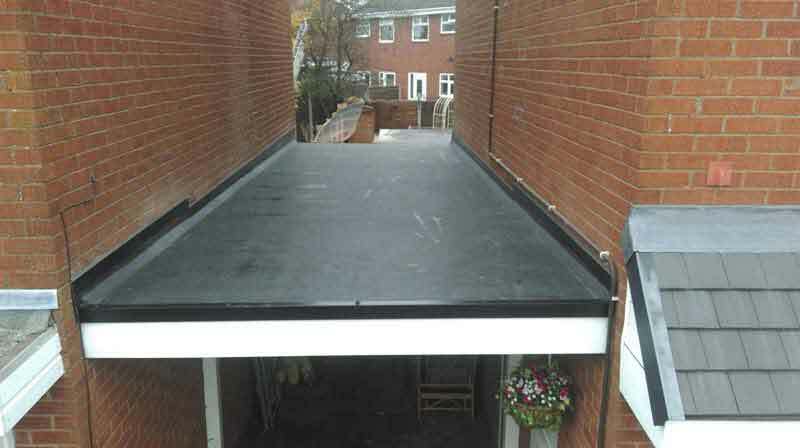 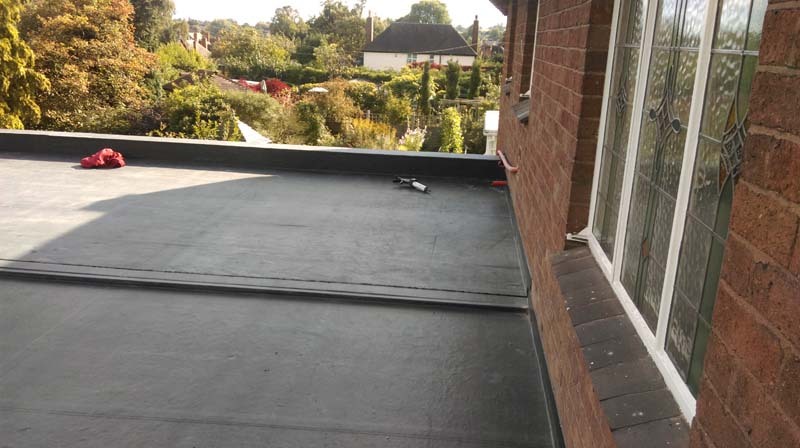 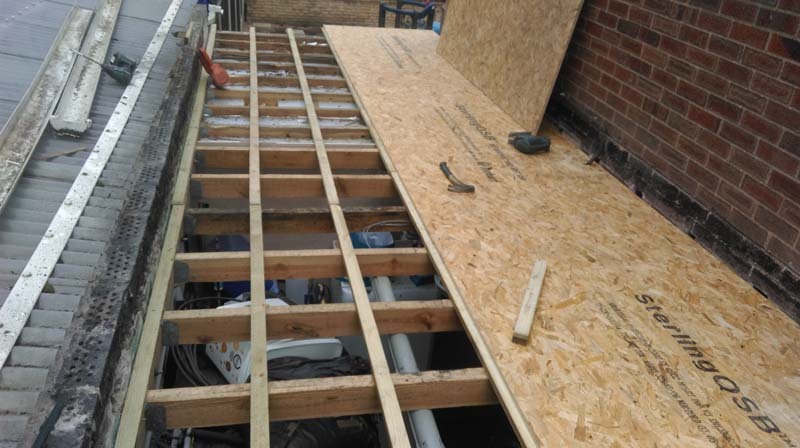 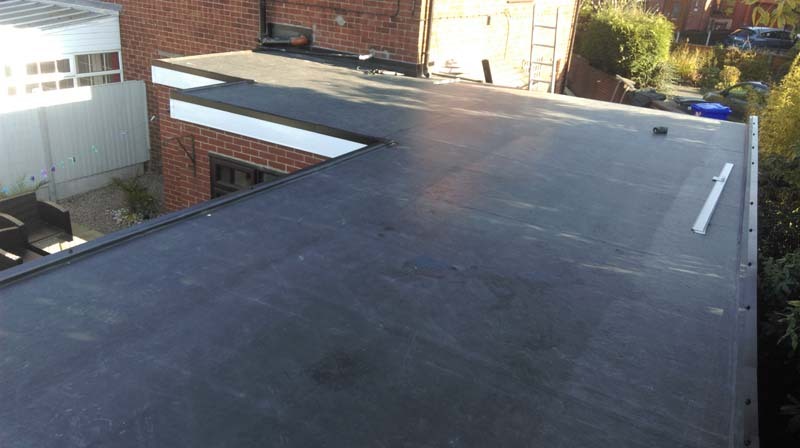 Complete roof rebuild including sub-structure and new tongue & groove decking, fully insulated, new fascias & guttering, firestone EPDM and trims. 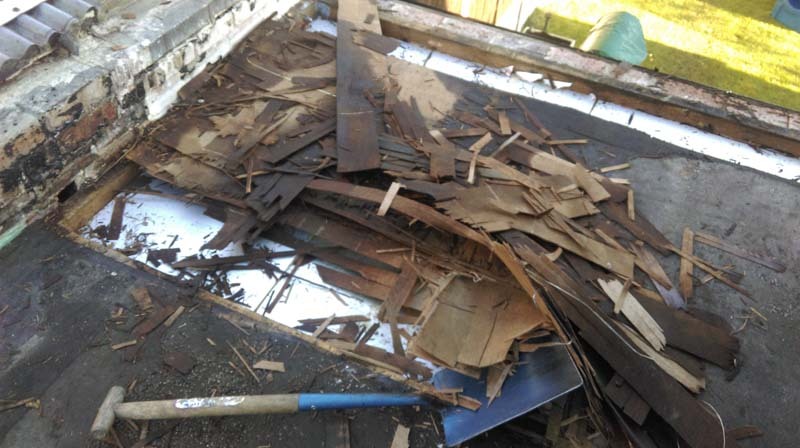 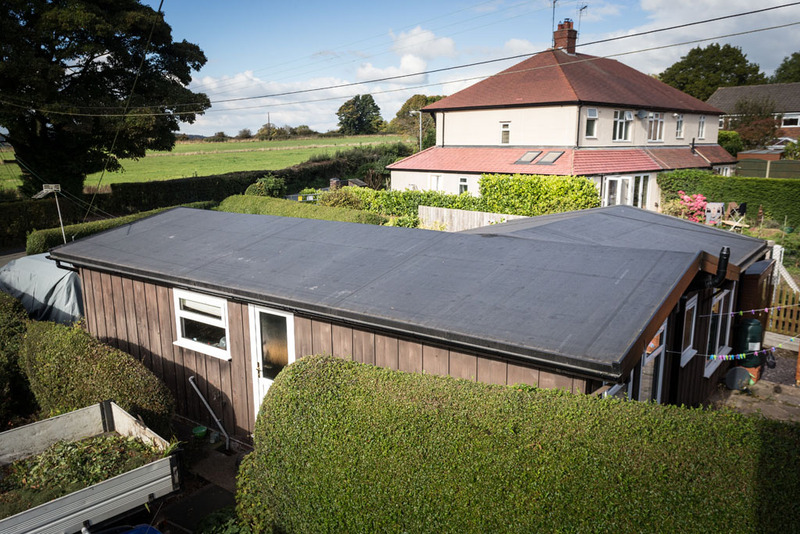 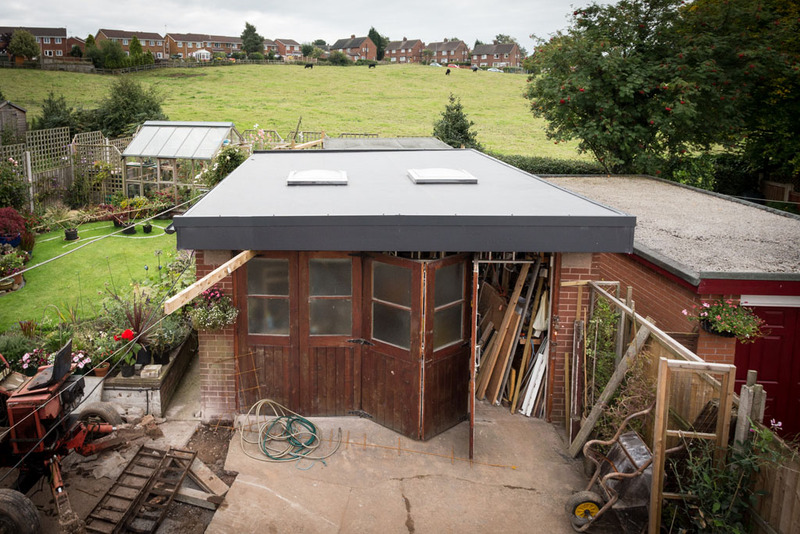 Progress photos showing the full rejoist & reroof of a kitchen & garage.